Termites may be small, but these wood-eating creatures can cause enormous damage to a house. Sneaking in through a home’s foundation, these critters will gnaw through wooden support beams, steps, walls and floors. Unfortunately, their work often goes unnoticed until too late as they burrow through the core of the wood, not its surface. Keep an eye on wood floors and check for signs of termites as part of your household . You could stop an infestation early on. Damaged wood is sometimes hard to detect as termites eat it from the inside out. The surface of a floor may look fine while underneath termites crawl through the tunnels they’ve gnawed out. Exterminators suggest tapping wooden floors and baseboards with a hammer to check for hollow-sounding areas. Suspicious spots can be probed at with a penknife of screwdriver. Damaged wood will easily give in and you may find tunnels underneath the floor’s surface. A less invasive way to check for termites is to look for changes in the color and texture of wood flooring. Although not a definite sign of termites, these changes can be a good indicator. 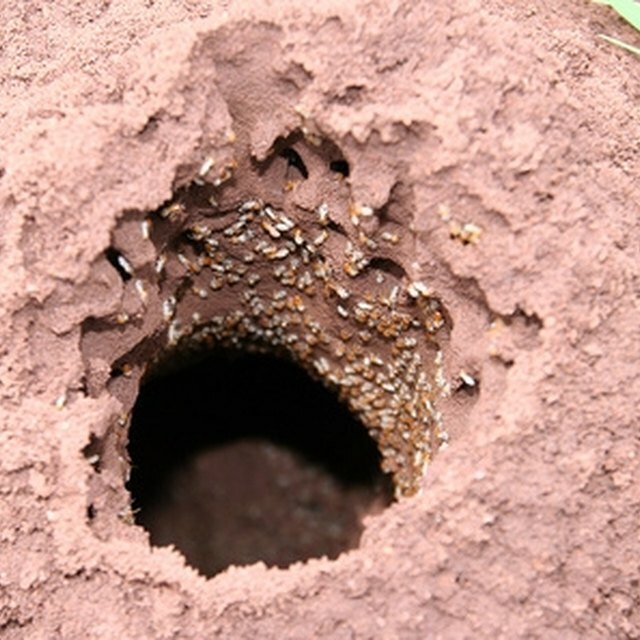 Termites must stay moist in order to live so they create mud tunnels to travel through. These pencil-thin tunnels connect their nests to their food sources and will look like dirt lines. Check for termite tunnels in the gaps between floorboards and along the edges of a room where the walls connect to the floor. Dry tunnels are old and may be inactive – check for termite activity by brushing away a segment of the tunnel. If termites are still in the flooring, the tunnel will be rebuilt within a day or two–possibly even within a few hours. The most surefire way to know termites are eating wood floors is to see them. Termites are light colored with soft bodies and are about 10 mm long (about the size of a grain of rice). You may come across them while remodeling a house. Termites may also be seen while they are swarming. During a swarm, winged termites will come out of hiding to establish new colonies. This typically happens on a warm day after rain. After a swarm, piles of wings may be left behind on window sills or the house’s floors.